The trusted data recovery software for Windows. 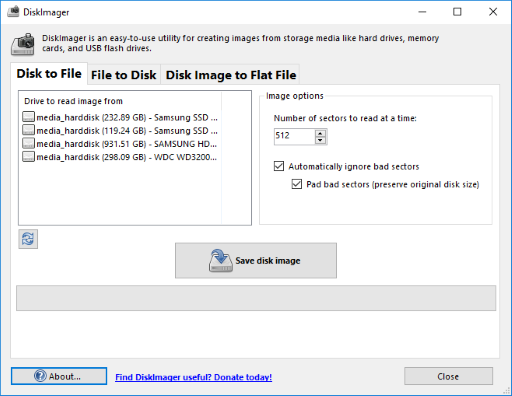 Created around 2010 and downloaded over 100 million times since then, DiskDigger can recover your lost or deleted photos, videos, documents, and most other types of files from your hard disks, memory cards, USB flash drives, or any other media your PC can read. 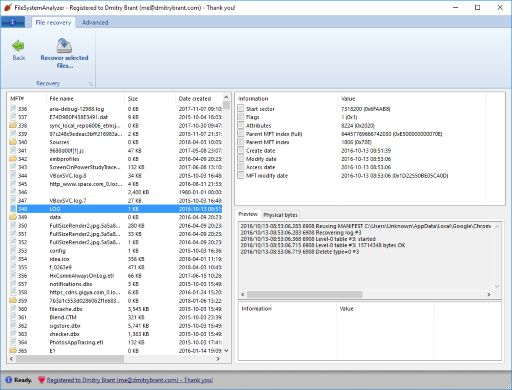 DiskDigger works by either scanning the file system(s) on your disk and looking for files that are marked as deleted, or by performing a thorough carving scan of the entire disk independently of the file system, and recovering files using a powerful heuristic analysis. Visit the website for more information, instructions, and downloads. Utility for detailed analysis of file systems, allowing you to browse the contents and extensive metadata of various filesystems, including ones that might not be supported by your PC (FAT, NTFS, ExFAT, HFS+, ext4, and UDF). 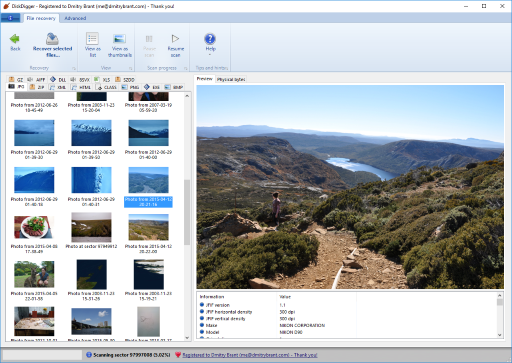 It also allows you to work with disk images, including E01 (EWF) forensic images, as well as VHD (Microsoft Virtual Hard Disk), VDI (from VirtualBox), VMDK (from VMware), ISO files (CD/DVD images) and of course plain dd images. Utility for creating and writing disk images (binary dumps of your disks). Also allows you to convert various types of disk image files (E01, VMDK, VDI, VHD) to a flat dd format. 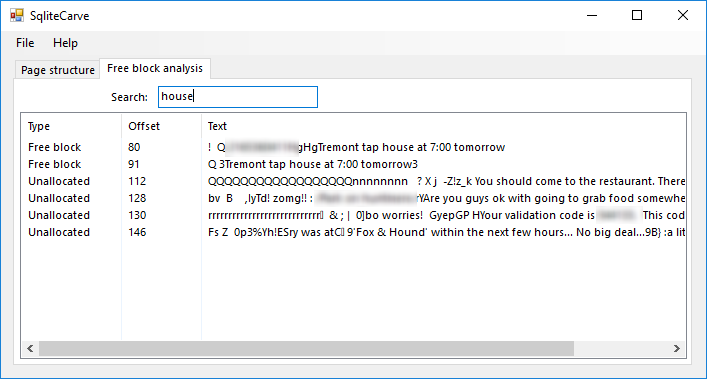 Utility for forensic analysis of Windows Explorer thumbnail caches. Automatically detects the thumbnail cache files for the current user’s account, and allows loading of standalone thumbcache*.db files. 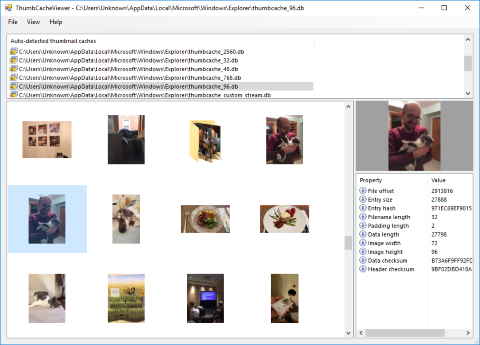 Displays detailed information, metadata, and previews of all thumbnails stored in the cache, and allows you to export cached images as individual files. Utility for forensic analysis of Microsoft Outlook database files (*.PST files). Allows you to open *.PST files used by current and previous versions of Microsoft Outlook (supports Unicode and ASCII files) without requiring Outlook to be installed. 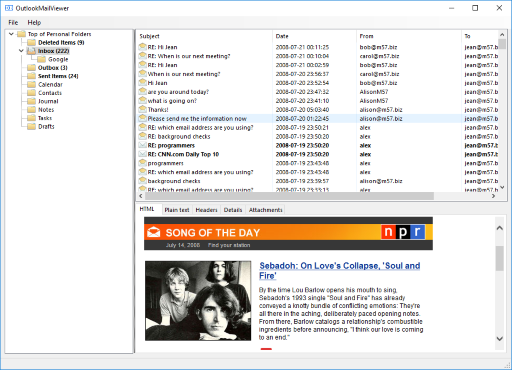 Browse through email archives and folders as they are organized within the PST file, and view every detail of every property and metadata associated with each message. Utility for forensic analysis of SQLite databases, in which it searches for text strings within unused and unallocated portions of the SQLite database, revealing data that might have been deleted.